Last night the rain was coming down, making a soothing noise, but reminding me of many cabin trips where we’d have to brave the rain to use the facilities. For some reason I was also reminded of The Red Green Show, and the poems Red used to recite. I came up with my own poetic masterpiece to suit my mood…. An April rain, chilling and cold. Making a half frozen slush to shuffle through for a midnight outhouse run, where it plays a tap dance on the tin roof, then drips down the back of your neck. You think I’ll have to turn down offers? In any event, the old outhouse was an integral part of growing up, and while many were rough and ready, especially those built for cabins in the woods, those people had for their living areas were surprisingly more than you’d expect, and as much as it can be, a pleasure to use. Back home, “down on the land”, Uncle Hay had and kept up an outhouse out the path from his house. It was a bit of a trek if you were short taken I’m sure, but as kids sometimes when you had to go, you had to go. This outhouse was, for the genre, beautiful in my eyes. It was well walled, well painted, had a window, and well maintained roof, and Uncle Hay kept a nice supply of toilet paper out there. What made it even better was that he, or perhaps it was Brad and Paul, I’m not really sure, kept a supply of comics and reading material out there. More time than necessary was spent in there keeping up with Archie and Jughead! In any event, I have fond memories of that old commode, and while its an odd topic to write about I guess, its a part of home that brings back fond memories. 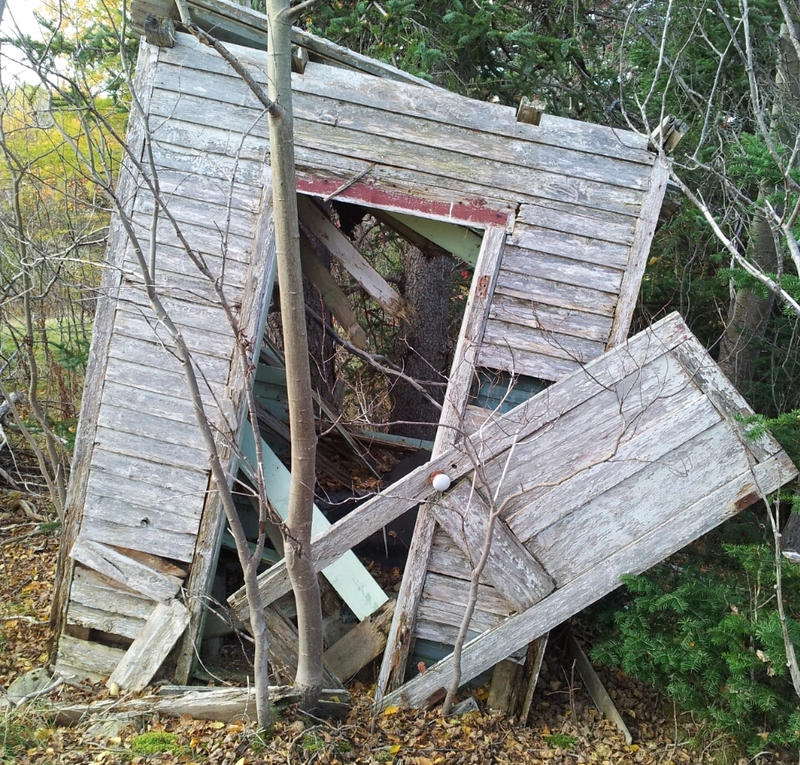 I bet it was in pretty decent shape for having been abandoned so long, Dad and Uncle Hay built to last generally! Many games of hide and seek and whatever exploration games we came up with were played out there. The old outhouse was very handy!